A great T-shirt meets a great logo. We found a great local t-shirt maker who makes three color screen prints on great shirts. Keep washing it, it just gets better. 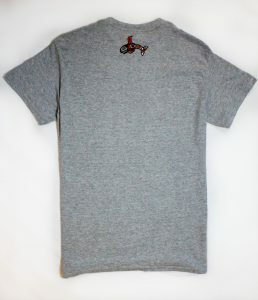 This shirt features a classic logo and a whale logo on the back just below the neck line.